WOW! Check out this stunning remodeled condo in the heart of Brandon! Current owner did not miss a detail on the renovations from updated electrical and plumbing to the beautifully detailed wainscoting! This unit features upgrades like no other in the community! As soon as your step inside your jaw instantly drops as you set your eyes on the kitchen! This is a chefs dream with an eat-in style kitchen featuring tons of cabinetry & counterspace, all stainless-steel appliances, pot filler, island, breakfast bar and more! There is nothing else to desire with this beauty! Head into the open great room which is perfect for entertaining company and there is a convenient first floor powder room! Your patio overlooks the peaceful greenspace and a lovely view of the pool! Also featuring a storage closet great for bikes, floats, seasonal dÃ©cor, etc! Master bedroom is spacious with charming custom sliding barn doors and a fully renovated en suite with pocket doors! Laundry nook is also off the master with additional built-in cabinetry for storage! Secondary bedroom is well sized and perfect for an office space, nursery, or guest room! ALL APPLIANCES and security cameras convey with the sale! New paint, new light fixtures, and new windows! Russellwood is right off 60 near the Westfield Mall, movie theaters, & popular restaurants! 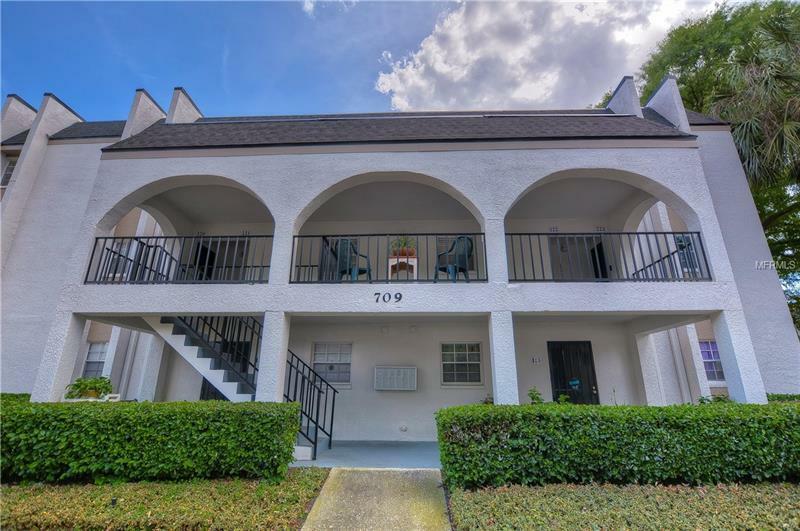 Also, just a few minutes from the interstate and the expressway making this location ideal for those who need quick travels to Orlando or Tampa. Come see this beauty!